Setting Goals is by far one of the most important things anyone, who wishes to accomplish anything in life, must do. Why is Goal Setting so important? In life, you are either part of somebody else's plan, or you are part of your plan. People who don't set goals, tend to "go with the wind", and believe that life happens to them, or that whatever they have or don't have is due to a matter of "luck". Imagine, two sailboats on the Ocean. One says "I want to go to the Bahamas" and it sets sails to the Bahamas, and it gets there. The other one, never even thought about the fact that it is important to have direction, goes to the ocean, enjoys each day at a time and just "goes with the flow". A few weeks later, it landed in Afghanistan. That is difference between setting goals and not setting goals. It's the difference between taking charge and control of your life, vs having life, taking control of you. Taking charge, does not mean, not enjoying the journey, or not going with the flow. It simply means, you enjoy the journey, but you know where you are headed, and you work towards it, on a daily basis, until you reach your desired destination. 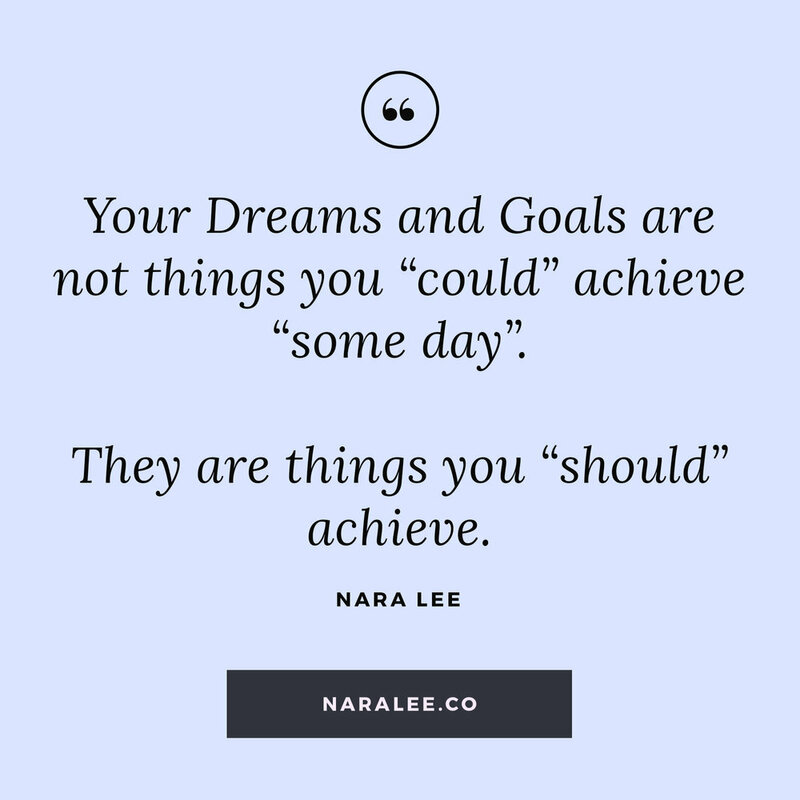 Don't have your goals written down? A research study done by Harvard University, took two distinct groups of people. The low achievement group, when asked to set goals and perform the same task, achieved significantly higher performance and success rates, coupled with higher levels of motivation, drive and happiness. Hundreds of experimental studies have been done, and they have all proved the same conclusion: that Goal Setting increases significantly the Success rate, in any area of life in which it is a applied - this means - business, family, mental, physical, financial, spiritual, social etc. You will want to set goals for all areas of your life, otherwise, you may succeed in one, whilst all the other ones are out of balance. Throughout my life, I have always been a goal setter, tested many different systems and techniques, and achieved many of the goals that were closest to my heart. I have also learned, one specific thing, that was not taught anywhere else - and that is, your goals, must be aligned with your Purpose. When your goals are disconnected from your Purpose, you can set on a Life Journey to achieve many things to prove your external worth to the public, but not really be fulfilled from inside out. You will reach those goals, and still feel like there is something missing - and that is because the goals you set for yourself were not aligned with your Life Purpose. In this article, I share with you 5 Proven Ways that you can Set and Achieve your Goals. Do you find yourself setting beautiful and amazing goals, but somehow losing motivation to do them? You force yourself to push through, and from the outside this is the "right thing" to be achieving, but something in your heart doesn't feel like doing it. You are not motivated from within, and so you look for external motivators to keep you going. If this sounds like you, more than likely, the problem is not motivation, but instead, lack of alignment. There are two ways to set goals. The superficial and traditional way is setting goals based on what you think you should be doing or accomplishing. 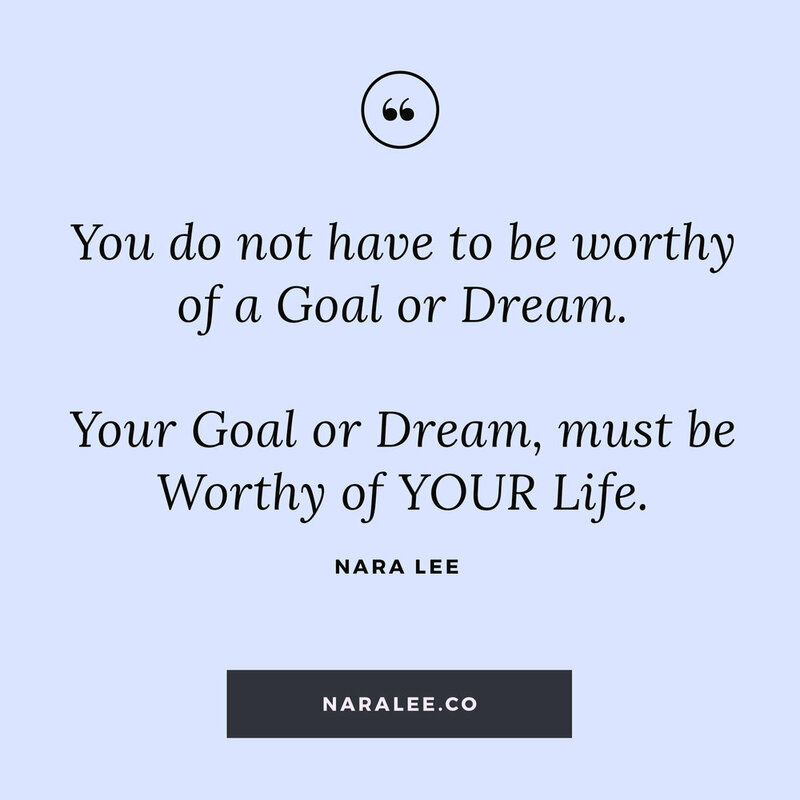 These goals work and are achievable BUT, these are also the goals you are likely to drop along the way, because they are not aligned with your Purpose or/and Higher Self. You may not drop them, but you may get there and be like "oh is this it?". The feeling you were after and experience you were after, were not delivered by this goal - because, this goal was never in alignment in the first place. So, when you set your goals, go for your deepest dreams, desires, passions and Calling. Don't let the voice inside your head tell you "it's impossible", "it's too complicated", etc - because if you don't set that goal, you will never do, what you were put on earth to do. Thus, my #1 tip is - Set Goals, aligned with your Soul & Purpose. You may know what you want and where you are going. But it is extremely important to have a written plan for what you have set yourself to achieve, and how you plan to get to get there. It is even more important, to look at that plan often, because during your journey, I guarantee you, you will have many distractions and many shiny opportunities, that will take you off-course - if you don't remember your destination. Goals that are set and put away in some drawer to collect dust and forgotten are often never achieved. You need to stay connected with your goals, and review them often, so keep them somewhere where you can see them, rather than setting goals in a book and storing it. Review your Goals each week and track your progress. See where you are falling behind, and why. Adjust your goal achieving tactics, based on your performance. Look at your goals every day, if not every week. Stay focused. When you set goals, you want to make sure you achieve them. Goals are not dreams. After you have dreamed, you sit down, and you write down your goals. Goals are meant to be achieved. And especially when they are connected with your Life Purpose, then they take on a new form, they become something that you must achieve, rather than something you could achieve, someday. What is one effective way to make sure you follow through on your goals? Having an Accountability System or Partner. If you set goals and don’t share them with anyone, it’s no big deal if you don’t achieve them as you would be the only person who knew about your secret goal, and if you are okay with letting yourself down, there is no accountability for not achieving that goal. An accountability system ties your goal to a person, community or public who will hold you accountable. For example, when I first decided to have a blog, it was a an idea, in my imagination, connected to a bigger long term goal. 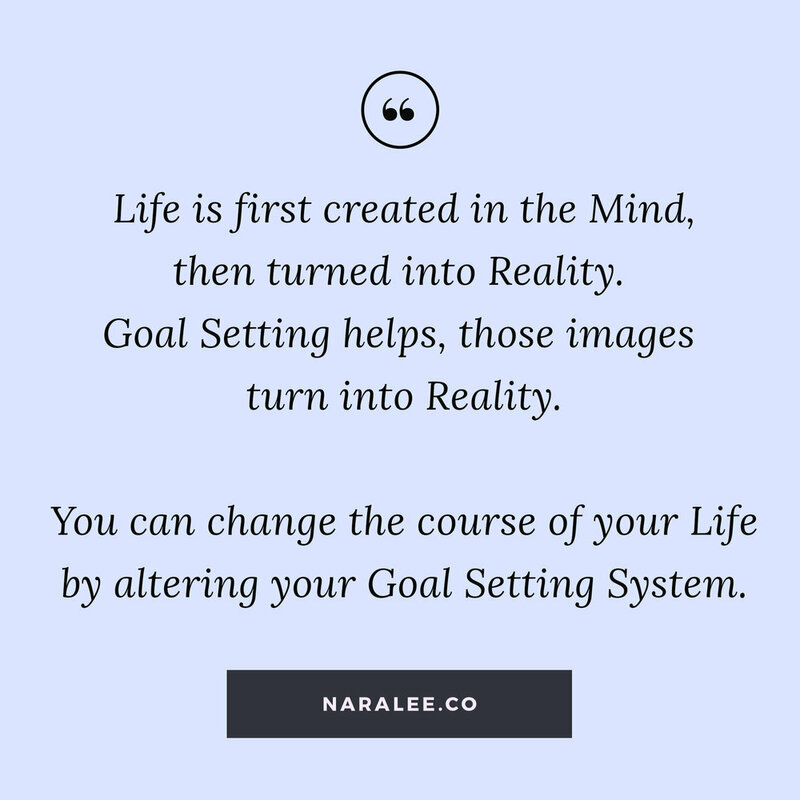 I then connected that to my existing goal setting system. And then, I made the public, my accountability partner. So I would write, and publish consistently, even if I didn't have enough readers. Just the fact that I had this blog live and public, pushed me to continue writing and publishing my work. If you want to lose 10KGs, you may have a weekly and daily nutrition plan, to follow through and measure your plan against your results. You may share that plan with your accountability partner at the end of each day or week, and that alone subconsciously forces you to want to follow through. Or you may train with a friend 3 times a week, or with a personal trainer.Just knowing that your friend is waiting for you at 7am outside your house, will get you to wake up on time, put on your running shoes, and get to work. That's the power of accountability. When we start any new journey, we imagine a smooth sail. We believe everything will be easy, smooth and go according to plan. I am an optimist by nature, so I confess, I often fall for this trap. Which is how I finally embraced the fact that the journey may not be a straight line, smooth and all champagne and caviar. Your goal must be worthy of your life enough (rather than you being worthy of your goal), because when you face obstacles and challenges on your path, you must find the strength, drive and motivation to keep going. And any goal worthy of achieving, takes time, commitment, persistence and hard work. If a goal is "not that important to you", you will not do what it takes to achieve it. 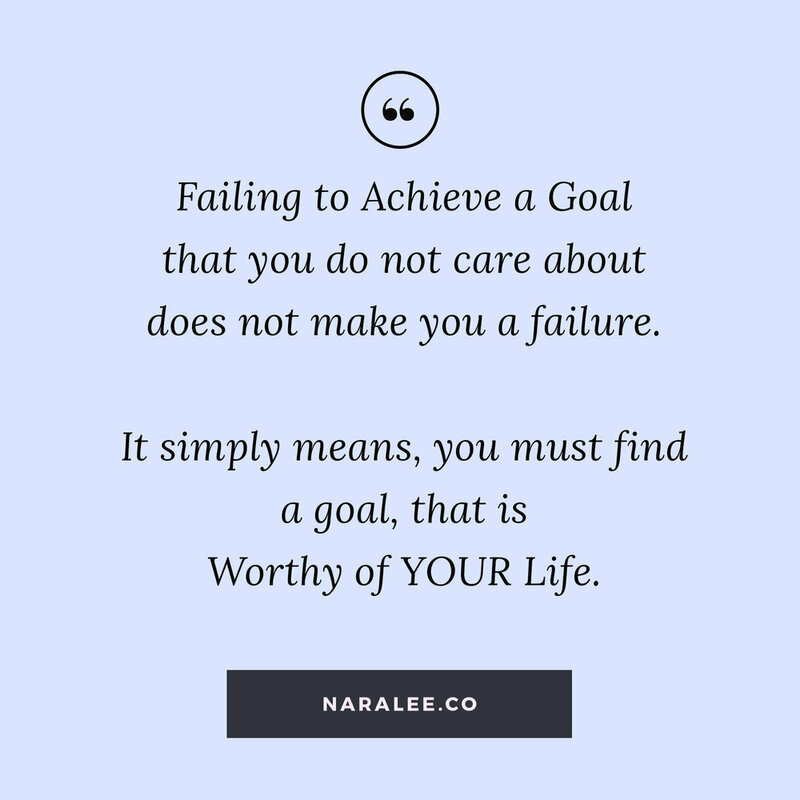 That doesn't make you a failure, it simply means, you must find a goal that is worthy of your life. So, before you start, prepare yourself mentally to meet obstacles, and to find the means and resources to overcome them. Make a list in advance of all the potential roadblocks you think you will or can encounter. Then make a contingency plan for overcoming those. Of course, there are blows that you never planned or even expected, and you will have to deal with those as they arise. Overall, the most important thing, is to be mentally prepared, to face whatever opposition or challenges may come your way, and to be committed to finding a solution and staying on course - no matter how long it takes, or how tough it gets, you keep going, no matter what.